Clients of the collapsed auction house are preparing to challenge the fees being demanded by firm’s administrators to collect their own goods. Consignors of lots for upcoming sales or owners of unsold items have been told they must pay around £200 per lot, regardless of their value, or they may lose their items. Administrator BDO has given consignors a four week period from February 12th to pay the levy and collect or the goods may be deemed abandoned and may be dealt with as such. In a large number of cases the fees are higher than the value of goods. BDO told ATG that in total 4322 lots were held by Mossgreen on consignment, meaning their total charges would add up too around £850,000. Unhappy with these charges vendors are appearing at an upcoming Federal Court hearing. They will be arguing that fees are extremely unfair and question their legitimacy. BDO have confirmed that the collapse of Mossgreen with insufficient funds are unable to pay their outstanding debt to consignors and fund the return of unsold lots. The company had debts of around £7,000,000 of which most of it owed to primary investor Jack Gringlas. 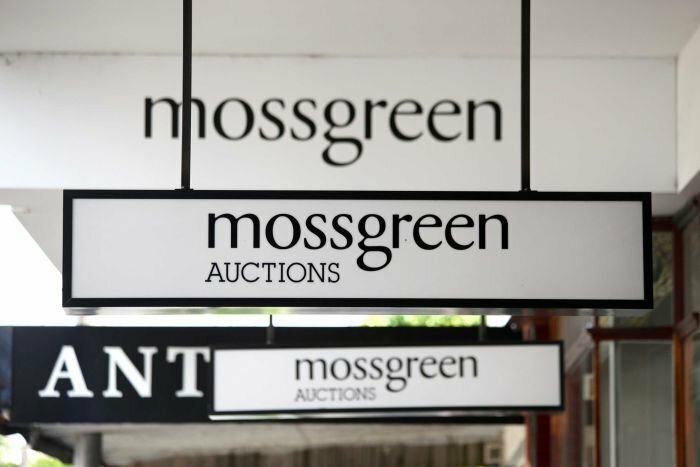 Vendors who sold items from September to December may not receive full payment as Mossgreen did not operate a client account system to safeguard clients money.